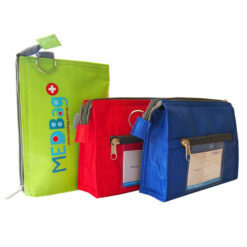 This lightweight, foil lined medical Box Bag carries kids medications in a bright, easily visible bag. 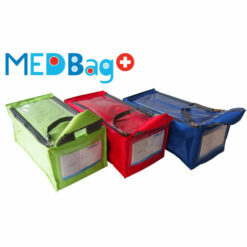 This lightweight Medbag Boxbag is a foil lined container which is designed to hold all your medication. Whether you have an allergy, if you are an asthmatic or a diabetic, the MedBag boxbag holds all your necessary medication in a compact, obvious and accessible place. 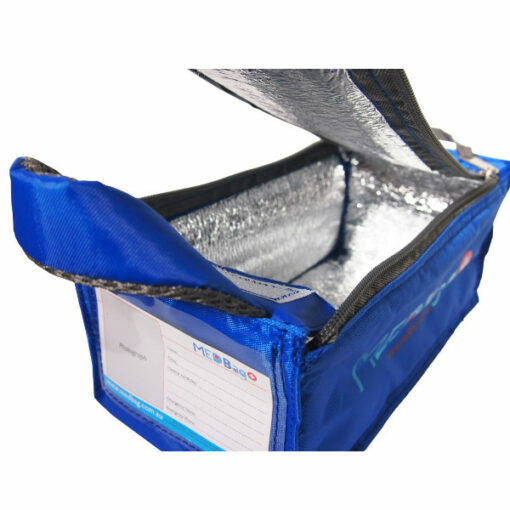 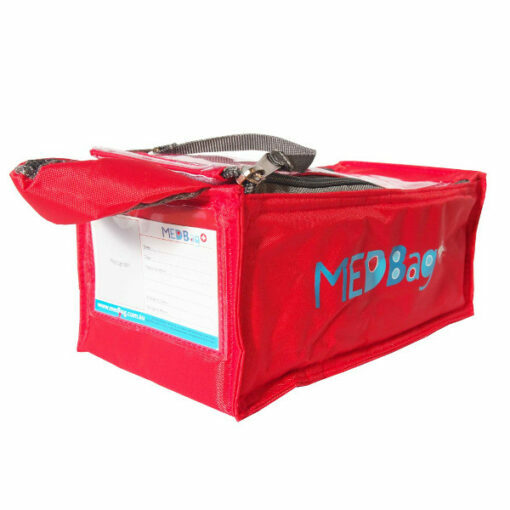 The MedBag Boxbag has a clear plastic pocket on top and this is designed to hold your medical action plans. 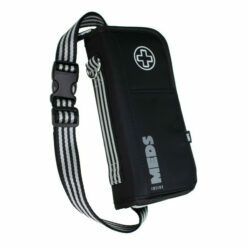 Located in a smart and easily visible place in the event of an emergency. 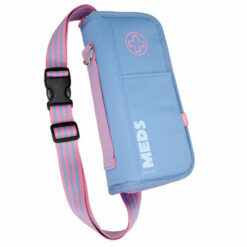 The bag has both a double zipper and a velcro closure for added protection of medications. The bag also comes with a carry handle on top of the bag for easy transport. 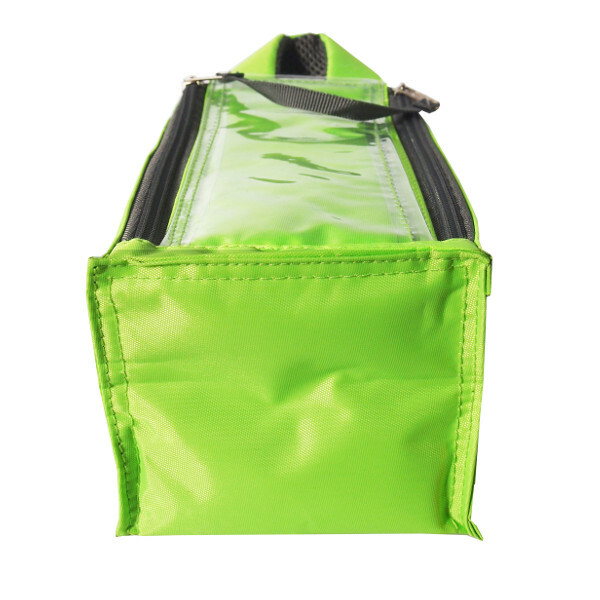 The Boxbag’s external dimensions are approximately 100mm (W) 100mm (H) 240 (L).